Thank you San Geronimo Valley! With a 70% to 30% win, the voters within the Lagunitas School District boundaries have voted to continue funding our Valley schools for another 8 years with a parcel tax. These funds help ensure the small class sizes and well rounded education that our local kids have benefited from for many years. THANK YOU!!! Keep the Valley’s Future Bright! The Parcel Tax is a renewal, not a request for new funds. Valley voters have supported our schools with the Parcel Tax since 1987, generations of students have benefited from this funding. 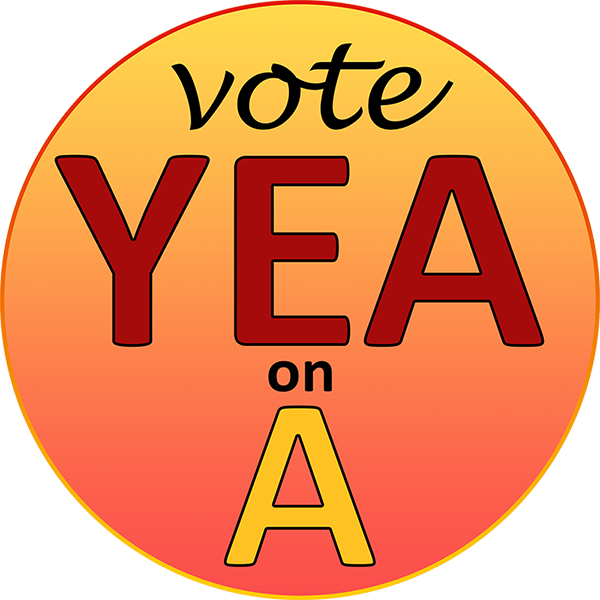 Any senior in our community can vote yes on the parcel tax and can opt out of the tax. Measure A will need a 67% supermajority to pass. The annual Cost of Living Adjustment in Measure A amounts to $34.78 for July 2019 – July 2020 which amounts to less than 10¢ a day. How much will it be by 2021? $37.03 or just over 10¢ per day. It has never been more important to vote YES. In these complicated times we must come together and continue to provide a high quality education for our friends and neighbors. Parents in our district are doing their part, last year they contributed a record breaking $125,000 in donations. Yet without the parcel tax our district will be severely underfunded. Strong schools like ours develop responsible citizens and leaders. They also keep our community vital, attract new families and enhance our property values. Valley voters have proudly supported the Parcel Tax for 30 years. This November’s parcel tax measure continues our commitment to these critical programs and your support is essential to providing the children of San Geronimo Valley with the quality education they deserve. What does the Parcel Tax money pay for? Parcel Tax funds currently support 5 classroom teachers, professional development for all staff, classroom supplies for each program, PE, art, music and science. Parcel tax funds also support our counseling program and technology services. 99.1% of our Parcel Tax is directly spent on teachers or in the classroom. Why renew an existing parcel tax? The parcel tax which is already being paid by San Geronimo Valley property owners is due to expire in 2017. The measure on the November 2017 ballot will simply extend the already existing parcel tax for 5 years. This is not a new tax! We all love living in the valley and appreciate the benefit of virtually no development here. One downside of the limited growth in valley housing is that property tax income does not grow by much, either. That fact along with the limitations imposed by Proposition 13 means that our school district is starved for money. Renewing the parcel tax will allow our district to maintain current staffing and programs. This is not a measure that will allow for new staff positions, higher salaries or new facilities! Measure A will allow our school district to continue educating our kids in the way that generations of Valley residents have been educated, with respect for parents, educators and kids. Does everyone pay the Parcel Tax? No! Only property owners within the boundaries of the Lagunitas School District are charged with the parcel tax on their property tax bill. If you are a Senior Citizen, you can fill out a form to be exempted from the tax. Also, renters do not pay the parcel tax. Does the parcel tax go up over time? Measure A does include a ‘Cost of Living Adjustment’ which seems to be one of the major points of contention by those who are opposed to the measure. The fact is that the 6.5% adjustment amounts to an increase $34.74 for the 2019/2020 year which comes to just under 10 cents a day. For the year 2020/2021 the adjustment is closer to $37 or just a hair more than 10 cents a day. While 6.5% may sound like a big adjustment, in actual dollar value it is quite small. salaries begin 17th out of 18 districts in Marin. Healthcare costs increase yearly, the past decade average is 6.25% annually. Special Education services are mandated by law. District Special Ed costs have doubled in five years. What happens if the parcel tax fails? The school district will lose about 20% of it’s budget causing drastic cuts. How about voting by mail? You can visit https://www.marincounty.org/depts/rv/voting-information/voting-by-mail for more information. Can we count on you to vote ‘Yes’ and make sure our school district continues to thrive? Where does the money from our parcel tax go? 99.1% of the funds raised from Measure A will go DIRECTLY to teachers and classroom costs.